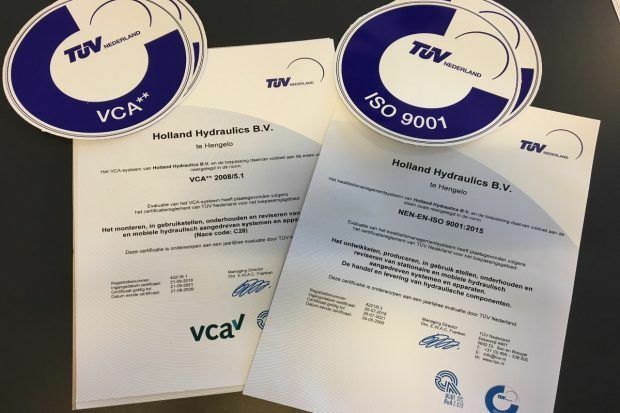 Home Holland Motion Group News Holland Hydraulics New NEN-EN-ISO 9001:2015 and VCA** 2008/5.1 awarded to Holland Hydraulics B.V. 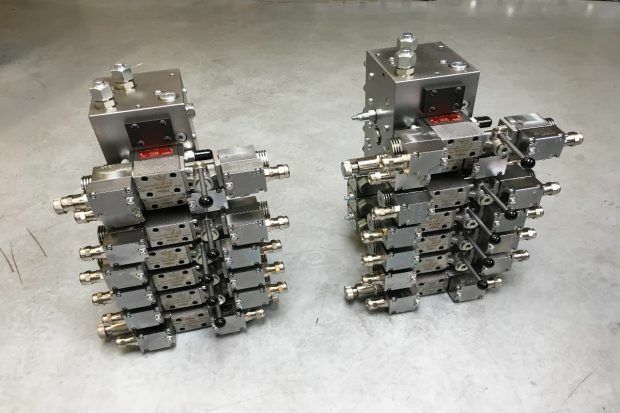 Published on 6 March 2019 in Holland Hydraulics. Holland Hydraulics B.V. is proud to announce to have passed the NEN-EN-ISO 9001:2015 and the VCA** 2008/5.1 audit. We have been awarded to the new NEN-EN-ISO 9001:2015 certificate for the revised quality management standards for development, production, commissioning, maintenance and overhauling of stationary and mobile hydraulic systems and machinery, and for trading and delivering of hydraulic components. The NEN-EN-ISO 9001:2015 is an international recognition given to organisations who continue to uphold an efficient and effective quality management system. We have also been awarded for the new VCA** 2008/5.1 health, safety and environment standards for installation, commissioning, maintenance and overhauling of stationary and mobile hydraulic systems and machinery. The VCA** 2008/5.1 standard is a national recognition given to organisations who continue to uphold an efficient and effective health, safety and environment policy. 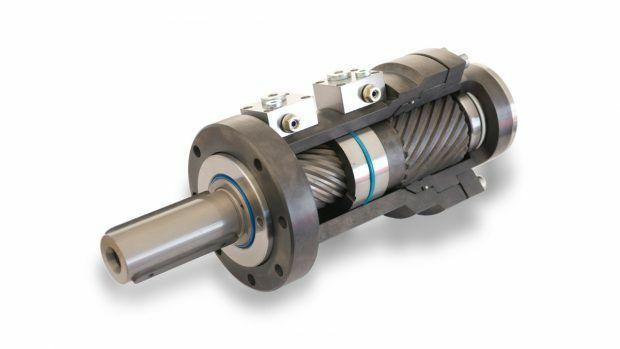 Both certificates awarded are according to the TÜV Nederland’s certification regulations. Achieving the NEN-EN-ISO 9001:2015 and the VCA** 2008/5.1 demonstrates our continued commitment to producing high quality products and delivering a consistent service to all our customers, keeping health, safety and environment in high regard. It also shows we are keen to invest time and money into new technology, staff, processes and procedures.